China publicly thanked Cambodia for supporting its stance on maritime disputes, a position which threw the regional block’s weekend meeting in the Laos capital of Vientiane into disarray. In a ruling by the U.N.-backed Permanent Court of Arbitration on July 12, the Philippines won an emphatic legal victory over China on the dispute. Backing China’s call for bilateral discussions, Cambodia opposed the wording on the ruling, diplomats said. China’s Foreign Minister Wang Yi said a page had been turned after the “deeply flawed” ruling and it was time to lower the temperature in the dispute. “It seems like certain countries from outside the region have got all worked up keeping the fever high,” Wang told reporters. It has criticized China’s building of artificial islands and facilities in the sea and has sailed warships close to the disputed territory to assert freedom of navigation rights. Meeting U.S. National Security Adviser Susan Rice in Beijing, Chinese State Councillor Yang Jiechi said both countries need to make concerted efforts to ensure stable and good relations between the two major powers. “So far this year, relations between China and the United States have generally been stable, maintaining coordination and cooperation on bilateral, regional and international level. Meanwhile, both sides face challenging differences that need to be carefully handled,” said Yang, who outranks the foreign minister. U.S. Secretary of State John Kerry arrived in Laos’ capital on Monday for the ASEAN regional forum and East Asia summits. He is expected to discuss maritime issues in a meeting with Wang, as well as in meetings with ASEAN members. Kerry will urge ASEAN nations to explore diplomatic ways to ease tension over Asia’s biggest potential military flashpoint, a senior U.S. official said ahead of his trip. It is just four weeks after the shock referendum vote and many analysts are arguing that it is too soon to tell what the impact of Brexit has been. But is it? It is true that some of the official statistics for the current quarter won’t be fully known until the early autumn. The new chancellor, Philip Hammond, has ruled out an emergency budget and will spend the summer looking at the evidence before deciding what to do. He expects to deliver a November autumn statement to “reset” the economy, whatever that may mean. But there isn’t much time to wait. Prime Minister Theresa May’s phrase: “Brexit means Brexit,” rather than removing uncertainty, in fact makes things worse. No-one knows what it means—and clearly Boris Johnson, David Davis and Liam Fox, who run the government departments that will make it happen appear to disagree about the way forward. Everyone that may have worked in trade before or has some vague knowledge of Europe is being drafted back in to assist as Whitehall seems to be desperately short of “experts,” now once again considered worth listening to. Business organisations have been summoned in to give their views but there is no clarity about the government’s intentions, particularly with regard to access to the EU single market. So far the only game in town has been the Bank of England with its much-maligned governor, Mark Carney, stepping in to calm markets on the morning of the referendum result. He has given access to £250 billion ($327 billion) of extra liquidity to the banking system, hinted at even lower interest rates and has also now cancelled the countercyclical capital buffer the banks would have needed to raise next year. Another £150 billion ($196 billion) is therefore in theory available for loans to businesses. All this helped the equity markets recover. Big international firms with foreign earnings will also benefit from sterling’s sharp fall, now at a 30-year low against the dollar. But what about the underlying reality? Lack of clarity is still an issue. Business investment fell in the first quarter of 2016 and forward looking surveys in the second quarter showed some of the largest falls in confidence in 20 years. This was partly due to the general world slowdown but also reflected referendum uncertainty. The expectation, though, was that if the vote was to remain in the EU, many delayed projects would have then come through. That does not seem to be happening since the vote to leave. Surveys after the referendum suggest a further loss of confidence because of the Brexit vote. The uncertainty matters but businesses also fear that whatever deal is struck, it will be worse than the one that Britain had before and will take time. Yes, of course, other trade deals can be concluded but geographical proximity matters a lot in trade decisions. Currency swings, especially violent ones, are destabilising for big business. Rolls Royce has just announced that the sterling fall has contributed to a £2 billion ($2.6 billion) loss in the first half of the year, partly through losses in foreign exchange hedging contracts—and Ryanair has hinted that its growth in the future will be centred in expanding European hubs rather than the current U.K. locations because of Brexit. Moreover the pound’s fall brings other problems with it. The U.K. tends to import many of the parts it uses in its manufacturing production processes, so costs will rise. It also imports many of its consumer goods. Prices are beginning to rise as a result—holidays, petrol, food, soon clothing also if the cost is passed to consumers by retailers who are already facing very tight profit margins. Retail sales, though some 4 percent up year-on-year, fell by 0.9 percent month to month in June. New house sales, already down 34 percent in the second quarter are under threat. Not surprisingly housebuilders’ shares have been under pressure since the vote. London house prices are forecast to fall by 5 percent in 2016 Q3 from Q2 and continue to decline through to 2017. The flash Markit/CIPS Purchasing Managers’ survey for July suggested activity in the economy declined to a level not seen in the U.K. since the spring of 2009, indicating a recession, particularly felt in services. Economists are predicting a technical recession—possibly zero or negative growth for at least the two quarters. Consensus forecast for 2017 are down from 2.1 percent to just 0.4 percent. The City is nervous, worrying about continuation of current “passporting” arrangements that allow UK registered financial firms to sell freely across the EU. The people warning of a short-term shock to the economy were right. But the medium to long term looks worrying too. The consultancy EY expects unemployment to go up to over 7 percent over the next three years from 4.9 percent now. Disposable incomes will be hit. The government will need to act now and to combine fiscal and monetary stimulus, as was done in 2008. This, though, is not a get-out-of-jail-free card. There are costs, in terms of lower bank profitability, lower incomes for pensioners and savers and tougher measures that will be needed in the future to tackle a rising deficit and debt. Welcome to Brexit Britain. https://www.worldkentucky.org/wp-content/uploads/2016/07/boris-johnson-theresa-may-eu-referendum-brexit-conservative-party.jpg 343 550 Staff World Affairs Council KY & S. IN https://www.worldkentucky.org/wp-content/uploads/2017/05/imageedit_1_5849451921.png Staff World Affairs Council KY & S. IN2016-07-28 18:09:312016-07-28 18:10:00Think the Brexit shock is over? Think again. PARIS — A few days before the Bastille Day terrorist attack in Nice, President Obama was in Poland for the NATO summit meeting, his mind obviously as much in Dallas as in Warsaw. As I listened to him during his closing news conference, on July 9, I was struck by the sad, tired, almost defeatist tone in the way the leader of the most powerful nation on earth addressed the divisions within American society, after that week’s killings. “This is not who we are,” he insisted, as if trying to convince himself. That was lunch time on Bastille Day. At 3 the next morning, the French president was back on television, after the carnage that killed 84 people on the enchanting Promenade des Anglais in Nice, to announce that the state of emergency would be extended, for the third time. “France is strong, stronger than the fanatics that want to strike her,” he said. His opponents were quick to ridicule him either for having suggested that the state of emergency would be lifted, or for keeping it in force even though it had proved useless to prevent the attack in Nice. Today, France and the United States are probably the West’s two main targets of Islamist terrorism. In France, our government warns that we must “learn to live with terrorism.” Yet just when they need to be stronger, our societies seem fragile, tense, stirred by powerful winds of revolt against their elites and an economic order that has increased inequalities. Can they withstand the shock? Defying the odds through the last 18 difficult months — three bloody waves of terrorist attacks and sporadic terrorist incidents, strikes, violent protests against a reform of labor laws, high unemployment and floods — the French have proved surprisingly resilient. The annual survey of the National Consultative Human Rights Commission, carried out in January, even showed tolerance on the rise “despite the posture of some public figures.” While the 2008 economic crisis reduced tolerance, the 2015 attacks produced the opposite effect, “leading to soul-searching and civic mobilization” against extremists, the commission said. Similarly, the Pew Research Center’s 2016 Global Attitudes Survey found that France (the European Union country with the biggest Muslim and Jewish populations) was the European nation second only to Spain in valuing diversity. The monthlong Euro soccer competition, hosted by France just before the Nice attack, also inspired intense fervor from the French public for its very diverse national team; it was supported throughout by enthusiastic singing of “The Marseillaise,” even after it lost the final game. Some statistics from the Ministry of Interior, though, show a different picture: The number of racist criminal acts went up 22.4 percent in 2015. The reason for this contradiction, the Human Rights Commission’s experts suggest, is that while individuals who carry out such acts are becoming more radicalized, the society at large is more aware of the dangers of polarization. 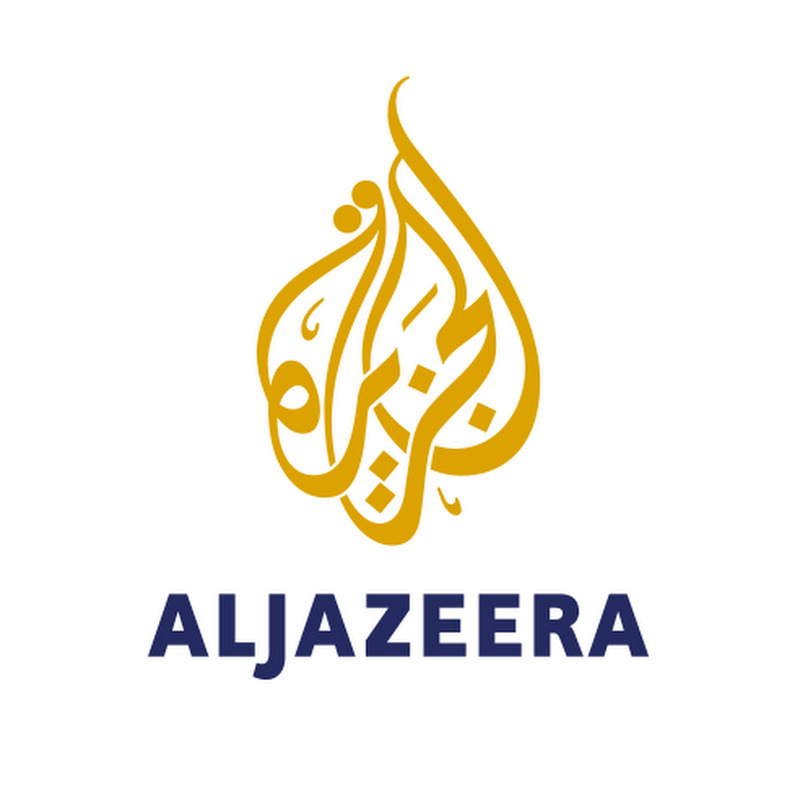 This attitude shows in an increasing number of civic initiatives, and in the results of the regional election last December: After the far-right National Front did very well in the first round, voters rallied against it and prevented it from winning a single region in the second round. Whether such healthy reactions will prevail after the Nice massacre — and any future one — is an open question. With a big immigrant population from North Africa and a very strong National Front locally, Nice itself is particularly vulnerable. The sad reality is that people of good will are not helped by a significantly mediocre political establishment. There could be national unity at the bottom — if only there were at the top. This was illustrated again immediately after the Bastille Day attack. While citizens of all backgrounds and colors joined to pay their respects to the victims on the Promenade des Anglais, while the florists of Nice united to cover the bloodied avenue with flowers, while the nation was in shock, our politicians bickered over whether the government could have prevented this new atrocity. With the 2017 presidential election flashing big on his radar screen, Mr. Hollande’s rival and predecessor, Nicolas Sarkozy, did not even wait for the end of three days of national mourning before mounting a ferocious attack on what he saw as the government’s passivity. When citizens behave more wisely than the men and women who compete to represent them, the time has come to take a hard look at the state of our political systems and its impact on our societies further down the road — particularly when modern democracies are under threat from outside forces that have declared war on them. Bumdoor/Anantnag, Indian-administered Kashmir – Aside from the black ravens that kraaw from every tin roof in Kawpoor, there is complete silence. It is early morning on Wednesday and for a while it seems that no one lives here. Doors and windows are closed. There are only the ravens, dozens and dozens of them, and the silence. It is in this Kawpoor neighbourhood, whose name literally means the abode of crows, of Bumdoor village – where clusters of small houses lie imposingly between orchards, streams and vast paddy fields – that the rebellion that has overtaken the whole of Kashmir in the past week started last Friday night. On a narrow path that leads from the main road to the houses, a rectangle of stones, sticks and yarn, with black and green flags at the corners, marks the spot where the 22-year-old Kashmiri rebel fighter Burhan Wani was killed. It has become a place of pilgrimage. Ahmad says the gun battle in which Burhan was killed was the first he had ever witnessed in this quiet village. Everyone seems surprised by it, and among the villagers there is an uncomfortable silence. They see accusations in the eyes of those who visit. The villagers say that the Indian soldiers and the police started arriving in the village at around noon on Friday, but they behaved in such a way that no one suspected something was amiss. Abdul Gani Dar lives just across from the house where the three fighters had spent the night on Thursday and the day on Friday. It is a large house, a section of which belonged to an uncle of one of the fighters killed in the gun battle, Sartaj Ahmad Sheikh. “The soldiers told us that Mehbooba Mufti [the chief minister of Indian-administered Kashmir] was coming to the nearby orchard to inaugurate something. And we went on with our day at the fields and in the orchards,” he says. By 4pm, more than a hundred Indian soldiers and police had cordoned off the Kawpoor neighbourhood. Some had taken positions in the partially built houses, some in empty cement drains, others in public bathrooms or behind trees. Soon after the three were killed, hundreds of villagers came out and clashed with the police. Scores were wounded. By evening, when the news had spread that one of those killed was Burhan Wani, the Hizb-ul Mujahideen commander who had been widely credited with reviving armed resistance to Indian control of the disputed region, people began to come out on to the streets across Indian-administered Kashmir. Wani had picked up a gun in 2010 as a 15-year-old boy. But unlike other fighters, he did not choose an alias or conceal his identity. Instead, he posted pictures and videos of himself on social media platforms such as Facebook and, in so doing, appealed to a new generation of Kashmiris, bringing the armed resistance back into the public imagination. Wani became a household name. On Saturday morning, an estimated 200,000 people attended his funeral prayers in Tral. By the time he was buried, Indian-administered Kashmir was in the throes of yet another rebellion. 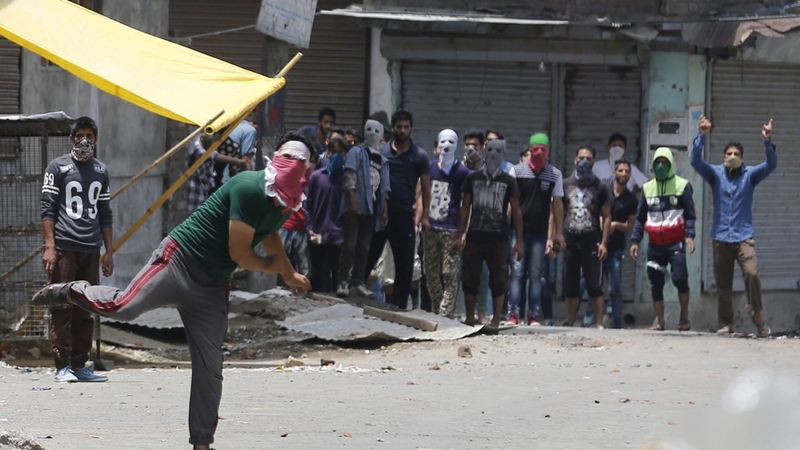 On Saturday, the first day of the uprising, at least 15 civilian protesters were killed and more than 200 wounded in firing by the Indian armed forces. According to Indian police, police stations, posts and military camps were attacked, with many set ablaze. A curfew was imposed in all four districts of the southern part of the region, the phone network and the internet was shut down. A kind of darkness has descended on Indian-administered Kashmir, punctuated by the sounds of gunshots and ambulance sirens. The south of the region has been at the heart of that darkness. For five days no journalists could make it here: afraid not only of the Indian forces but also of angry residents who believe the Indian media has distorted their stories. Myself and a colleague, working with an Indian newspaper, became the first journalists to travel through the southern part of the region, along stretches of highway and interior roads controlled by young civilian protesters and through major towns under a curfew imposed by hundreds of Indian troops. Along our route, house windows are shattered. Stones, tree trunks and rocks litter roads smeared orange by the bricks young boys throw at the Indian forces. At midday on Wednesday, a strict curfew is in place. Indian forces stand in small groups along the roads or sit on the pavements, making sure that nothing moves. An elderly couple trudge along the road, each carrying a sack. “Were you throwing stones yesterday?” an Indian soldier asks the old man. “No, I have to take my wife to hospital. She has fever and urine infection,” he replies. “I think I saw you throwing stones yesterday. Now you try to appear all old and feeble but yesterday there were dozens of old men with white beards throwing stones,” the soldier tells him. 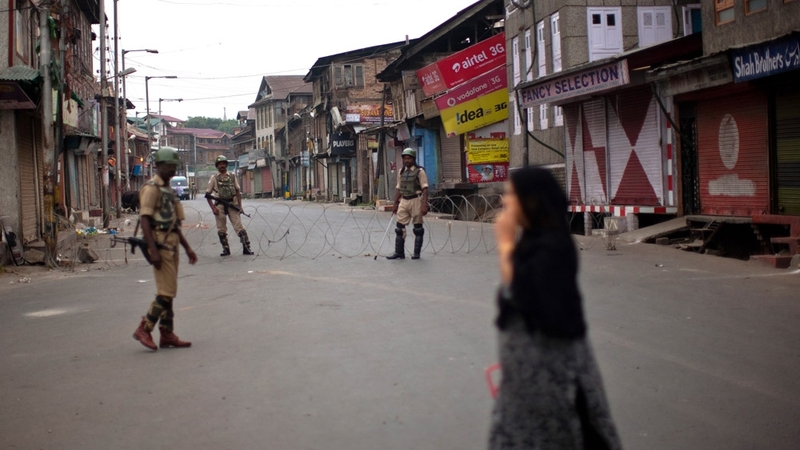 A district administration officer in Anantnag, speaking on condition of anonymity, told Al Jazeera that such a curfew is intended to pressure people into pleading with those protesting to stop so that the curfew might be lifted. “That is the way that has been decided. Starve them. Let the parents beg their young sons to give up and we could return to normality,” the officer said. In the post-operation ward of the Anantnag District Hospital, 17-year-old Mohammad Saeem’s cries pierce the stale air. He is pleading with his brother to cut the plaster on his leg. “I am in pain. I am in pain,” he sobs. Saeem was shot by the police on Monday. Three bullets hit his left leg, shattering the bones in his foot and shin. On another bed, across the aisle from Saeem is 46-year-old Masooda, a mother of four daughters, the youngest of whom is seven. She endures her pain quietly. Her hip hurts, she says, and so does her back and her shoulders. “I was walking in our lane in Ashajipora when the police and the CRP [the Central Reserve Police Force] came and I tried to run but I fell down in pain,” Masooda says. A bullet pierced her upper thigh and then, she says, police came and beat her, her husband and two of her daughters. “I was bleeding and crying and many of them came and put me in a cart that was there and then they beat me with sticks from all sides. Then they overturned the cart and tried to drag me into one of the houses while they kept beating me,” she says. Her two daughters and husband were beaten as they tried to protect her, she adds. She doesn’t remember how she got to the hospital. Of the roughly 30 patients in the ward, eight are women and the oldest among them is 79-year-old Sara Begum. She says that she was beaten by local police officers who came to her home in the Goriwan neighbourhood looking for her youngest son, a known protester. Her right leg is swollen and bruised from the ankle to the knee. Her other leg has 13 stitches. “They beat me up as if they couldn’t see that I was a sick old woman. One of them spread me on the floor and climbed on my chest,” she murmurs. Her grandson, Mohammad Asif, says the policemen beat her with a wooden meat-tenderiser that they found lying around. With each story like this, along with the well known protesters who the police lock up every time an uprising seems imminent, hundreds such as Umar are moved to join the protests for the first time in their lives. Outside the hospital I meet Zubair, a volunteer at a free medical camp. In the middle of our conversation about the differences in the protests this time, he absent-mindedly lifts his blue T-shirt to scratch at the small holes made by the pellet guns the Indian forces use to contain the protests. But the question remains whether, as in 2008 and 2010, a fragile normalcy will again settle upon this restive region or if, this time, things will be any different. As of now, with no other response to the people’s rebellion from the Indian government other than force and with a lack of ideas among the region’s resistance leadership, the past week – with at least 35 civilians killed and more than 1,600 seriously wounded – appears to be yet another dark chapter in the book of Kashmir’s recent history. New York’s biggest Venezuela ‘death watch’ specialist, Siobhan Morden of Nomura Securities, says that the crisis-wracked country is at a cross roads. Here’s where it can go, in the simplest of terms: towards a Cuban style autocracy led by Socialist Party leader and current president Nicolas Maduro, or a military coup of ‘moderates’ who team up with the opposition to kick Maduro to the curb. For now, the Cuban-road is looking like the road Maduro will travel. Barron’s and others reported on the military take over of certain sectors of the economy on Friday. Bond prices for Venezuela’s one year debt fell 1.3% to 48.24. The country is being held together by polygrip, but the government continues to bite off more than it can chew. Wall Street has been banking on cooler heads to prevail. As the economic crisis worsens, the camp that suggests Venezuela’s biggest problem is that it’s not Socialist enough is being vacated by the day. The opposition, meanwhile, remains mired in bureaucratic red tape to get a recall vote on Maduro. It’s definitely not happening this year. For the market, if cooler heads do ultimately prevail, an unlikely scenario, Venezuela’s bonds will be the best buy in Latin America. Similar trades were made in Argentina last year, and in Russia in 2014. Current yield on Venezuela’s debt is over 22% on average. Fitch says a sovereign default is imminent. Venezuela, an economy dependent on oil revenue, is now one that requires its government to work as a grocery store, handing out rations. It’s practically war time. As a result of this disarray, Friday’s 50-50 chance that Venezuela heads towards autocracy, with Maduro in role as dictator, seems more like a 60-40 chance today. “The superpowers for the military heighten the debate about autocracy and democracy with significant implications on bond prices,” Morden wrote in a note to clients on Friday. That superpower ministry position for Defense Minister Padrino Lopez raises concerns as to what type of political transition will occur. There are risks of either a Maduro orchestrated coup, whereas allies in the military take control and install him as defacto dictator, or opposition within the Socialist Party out-maneuver him and throw him out of office. This would require Chavistas to work with the opposition. The opposition represents the private sector, the sworn enemies of Chavez and therefore strange bedfellows. It is unclear just how strong popular support is for Maduro and whether, given the economic crisis, he could summons popular support to back him up in the event of an anti-Maduro coup détat. One poll from May that was reported on this month by the Christian Science Monitor suggests 25% support for Maduro’s government, a dismal rating. One of the only reasons it is that high is thanks to the residual goodwill of voters who benefited from the Hugo Chavez years, when high oil prices and income distribution made Venezuela one of the three richest in Latin America. As of 2013, Venezuela’s per capita GDP was higher than Chile’s, Brazil’s and Mexico’s, and trailed Argentina with around $14,400 per capita, based on World Bank figures. If Chavista moderates even exist, they will have to fight among themselves if they are to do anything about Maduro’s tilt to a closed economy. Some Chavista lawmakers have even suggested the legislative branch should be abandoned. Democracy in Venezuela is on the wane. Maduro’s claim that the country’s economic woes are due to an “economic war” waged by the opposition and the private sector can rally his base. This is especially true if he brings up Washington involvement. Chavez loyalists hate the U.S. for its role in backing a failed coup against Chavez in 2002. Nomura’s strategist Morden thinks the main thing to watch now is Lopez. How does the military manage to control food distribution and what will it do with trade at the ports, which is now under its command. The market has no faith this will succeed. “The centralization or maybe efficient control of bad policies will not resolve the economic crisis,” Morden wrote. Venezuela’s opposition leader Henri Falcon supposedly endorsed Lopez,saying he represents more of the institutional faction of the military and this may allow him more power over the repressive military leaders backing Maduro. Lopez could be a straw man. There has been no mainstream reports of dissent from the military and the ‘Chavistas’ that have criticized the Maduro Administration’s handling of the crisis. There are regional elections this fall. That will tell a lot about the future of the Socialist Party, and the grip it has, if any, on the collective imagination. Meanwhile, the recall referendum faces impossible administrative hurdles thanks to a biased election authority that is likely to derail the process. Last month, Maduro said there would be no recall vote until next year. That’s like Bill Clinton saying the House of Representatives cannot vote on his impeachment until he says so. Political risk could pull the rug out from under junk bond traders hoping for a repeat of Argentina. Venezuela’s 10 year bond traded at 11.73% yield on Thursday July 14, rising 16.2% in just four days and is now up over 11% in four weeks as the market prices in the ‘Cubanization’ of the country. Investors are hoping to double their money like they did in Argentina, but to do that, Venezuela will have to take the road less traveled — one that gives the private sector more say over the country. Despite the economic crisis in Argentina, the exit of Cristina Kirchner now has three year Argentina bonds at negative yield. Bond prices are up 100.24% in the last 12 months. KABUL — U.S. and Afghan forces are accelerating plans to decapitate the Taliban insurgency, expanding a new offensive strategy that appears to be stumping the group’s efforts to make dramatic gains on the battlefield. After 15 years of war and several failed attempts to reach a negotiated peace deal, the dynamics of the conflict changed in the spring, when President Obama for the first time ordered a U.S. airstrike to kill the Taliban leader in Pakistan. Over the past four months, Afghan special forces have also killed more than three dozen senior and mid-level Taliban commanders in targeted airstrikes or raids, according to an Afghan security document obtained by The Washington Post. The operations are part of a broader effort by Afghan forces, backed by increasing U.S airstrikes, to treat the Taliban more as a foreign enemy than as a domestic insurgent group worthy of some military restraint, according to Afghan officials and analysts. As a result, they say, there are signs the Taliban is under strain this summer while Afghan security forces, at least the elite ones, are finally becoming a battle-ready force. The raids were carried out by both Afghan police and army special forces units relying on a target list developed by the country’s intelligence agency, the National Directorate of Security, Sediqqi said. Ahead of the NATO summit that opened in Warsaw on Friday, Russia intensified its contacts with specific capitals rather than collective bodies. Moscow put forth a set of proposals for Washington aimed at preventing confrontation in the case of a close encounter at sea or in the sky, according to Russia’s permanent representative to NATO Alexander Grushko. “We are talking about minimal distances between ships and aircraft, about what frequencies to use to establish contact, and other measures that help us understand each other’s maneuvers,” Grushko said. Media reports suggest that the U.S. and Russia are discussing the possible coordination of military efforts in Syria. The U.S. would help Moscow with its targeting of militant jihadist groups as long as Moscow makes sure the Assad regime grounds its air force. Washington put forth this proposal last week and is waiting for a response. However, Russia is expecting the Syrian army to take Aleppo and the proposal is thus unlikely to yield an immediate result or a substantive response for many days or even weeks, a U.S. official told The Wall Street Journal. On the other hand, Putin agreed to work to build trust in the region and specifically promised to address the issue of military planes flying over the Baltic with identification devices switched off. The next day, Russian Defense Minister Sergey Shoygu gave an order to develop a system of trust-building measures to make flying over the Baltic safer, the defense ministry said last Saturday. Russian-Turkish relations are changing from freezing cold to moderately warm at breakneck speed. As soon as Turkish President Recep Tayyip Erdogan expressed his regrets over the downing of a Russian warplane, his Russian counterpart rushed to rebuild broken ties. Russian and Turkish Foreign Ministers met early this week to discuss the coordination of each country’s anti-terrorist operations in Syria. Russia and Turkey are far from agreeing on which specific groups to call terrorists, but Russia does need Turkish support to ensure the success of the expected assault on Aleppo by Assad’s forces. And there is no question that Russia and Turkey both need each other’s business. Russian tourists are eagerly waiting for charter flights to Turkey to resume and Turkish farmers and exporters are expecting their fruits and vegetables to return to Russian supermarket shelves. Moscow seems to be working hard to rebuild its ties with its immediate neighbors and the U.S., but the main direction is bilateral, not multilateral. Underlying these reassuring stories is the reality of Russia’s deepening economic crisis. As we pointed out earlier in this blog, Russia’s defense spending, which had been increasing for the past 15 years, will not grow. It remains at 3.8 percent of the gross domestic product this year, just like in 2015, but it is declining in real terms. Early this week, the Russian government proposed to freeze the overall federal public expenditure, in nominal terms, at the level of 15.78 trillion rubles a year (246 billion U.S. dollars). A spending freeze that could not have happened without a Kremlin go-ahead will mean that 36 of 43 state programs, (roughly half of the budget) will decline in nominal value. The Kremlin prioritizes retirement costs, management of public finances, and other social expenditure over any further military expansion. Moscow seems to be working hard to rebuild its ties with its immediate neighbors and the U.S., but the main direction is bilateral, not multilateral. The European Union is seen in Moscow as a bloc in decline, an entity permanently weakened by Brexit and previous acts of defiance by separate members. The relationship with NATO is yet to be redefined and currently stands at a freezing point. “We do not see NATO as a partner in solving the problems that concern both us and Europeans. We use other formats, like the Normandy Four or the International Syria Support Group, for resolving conflicts and countering mutually relevant challenges,” Ambassador Grushko said in the interview cited above. Russia is economically weak and there is no sign of any new sources of growth emerging. Russia is militarily weak in relation to NATO and there is no way this disparity will be bridged any time soon. But Russia has clear strengths on each of the bilateral vectors it emphasizes. Russia is now aiming to demonstrate to the West that it can be a partner in building mutual trust, but with an important caveat: separate deals are welcome with specific countries, rather than with the Transatlantic Alliance as a whole. MALCOLM TURNBULL, the fifth Australian prime minister in a decade, urged voters to help end the country’s political churn by delivering “strong, stable majority government” when they cast their ballots in the general election on July 2nd. Australians seem resolutely to have ignored him. With almost three-quarters of the vote counted, the opposition Labor party was slightly ahead of Mr Turnbull’s conservative Liberal-National coalition. Australia faces the likelihood of a hung parliament, with various independents holding the balance of power. It was hardly the triumphant occasion Mr Turnbull had anticipated. Nonetheless, he told party loyalists in a boisterous speech in the early hours of Sunday morning that they could have “every confidence that we will form a coalition majority government in the next parliament”. But the results so far paint a more complicated picture. The government entered the campaign with 89 seats, giving it a 14-seat majority in the 150-seat lower house, the House of Representatives. When counting was adjourned at the weekend, it had won just 67 lower house seats, nine short of a majority, according to the Australian Electoral Commission. The Labor party rose from 57 seats to 71 so far. Independents and small parties won another six seats, leaving six to be decided. Counting is due to resume on July 5th. Mr Turnbull had much riding on the election. A progressive, he unseated the divisive Tony Abbott as leader of the conservative Liberal Party last September, promising a “different style of leadership”. Initially, the government’s opinion polls soared, having been woeful under Mr Abbott. The economy has been performing well, with growth at 3.1% and unemployment under 6%. But Mr Turnbull then made several miscalculations that sent his campaign off the rails. His liberal views on gay marriage, professed desire to do something about climate change and preference for making Australia a republic had won him widespread support. After he became prime minister, though, he disappointed many supporters by playing down such issues, Many saw this as the price he paid to appease the coalition’s conservative wing in deals that installed him as leader. In his campaign, he focused instead on the Liberals’ traditional strength of economic management. He offered as his core policy proposed company tax cuts over ten years, arguing they would stimulate jobs and growth. But voters seemed unconvinced. Bill Shorten, the opposition leader, turned out to be a stronger campaigner than either the government, or most commentators, had anticipated. He pushed Labor’s old strengths: supporting public health and education. Mr Shorten also ran a scare campaign, claiming the government wanted to privatise Australia’s public health insurance scheme (Mr Turnbull labelled this an “extraordinary act of dishonesty”). But the eight-week campaign that Mr Turnbull launched in May, one of the longest in Australia’s history, gave his opponents plenty of time to sell their message. Labor’s gains included three Liberal-held seats that cover much of the island state of Tasmania. Linda Burney, a Labor candidate who won a Sydney suburban constituency, will become Australia’s first indigenous woman to sit in the lower house. “Labor is back,” declared Mr Shorten. Independents and small parties between them won 23% of first votes, one of the strongest showings for such groups in a federal election; how candidates’ second preference votes are distributed, under Australia’s preferential voting system, could determine the lower house’s eventual make-up. Mr Turnbull has started talking with some independents to secure their support in parliament. One of the strongest newcomers has been a party founded by Nick Xenophon, an independent senator from South Australia. He is a centrist with a populist policy mix that resonates among many voters in his state, hit hard by the loss of thousands of manufacturing jobs in carmaking and shipbuilding. He criticises free-trade agreements, blaming them for job losses, and supports more immigration, arguing it will stimulate growth. Rebekha Sharkie, a Nick Xenophon Team candidate, snared the prized Liberal seat of Mayo near Adelaide, the state capital. Mr Turnbull declared before the election that votes for independents and small parties would be a “roll of the dice” that would leave Australians with “no clarity about their future”. Yet the big parties’ infighting and frequent leadership changes in recent times have turned many voters off, prompting many to seek alternatives. Mr Xenophon reckons voters are “disillusioned with tribal politics”. The outcome in the Senate, the upper house, will take longer to emerge. But early indications suggest small parties could hold the balance of power there, too. Australia’s era of churning political leaders is far from over.